Earlier this month, the Oregon men’s track and field team returned home from the indoor NCAA championships with a 74 point victory, winning the team title. Most of the points came from the distance events, causing one to harken back to the days of when legendary coaches Bill Bowerman and Bill Dellinger led the team. Back in the ’70s and ’80s these teams topped the track and field world in the strength of their distance men, with headlining names such as Steve Prefontaine and Alberto Salazar. The two men dominated Oregon running in their respective years on the team. In the past, Oregon only tended to have one standout runner at a time. However, this year is different. 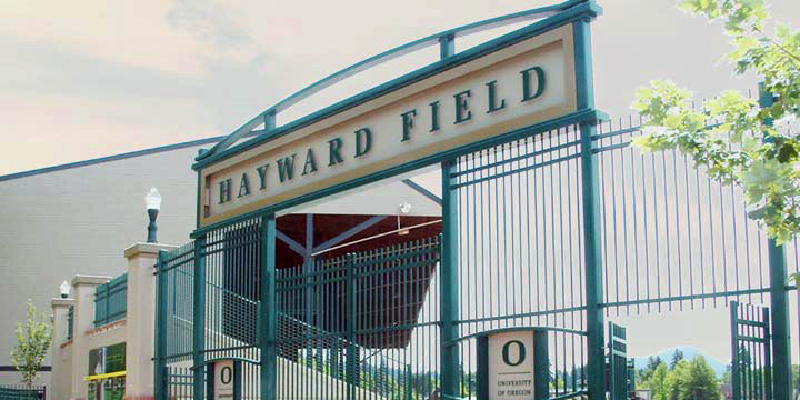 In 2015, Oregon sets itself apart among other distance programs in the nation with its depth in the distance field. One the school’s best runners is Eric Jenkins, a transfer from Northeastern, he just came off a very successful indoor season winning his two first NCAA titles in the 5000m and the 3000m proving himself to be one of the best in the nation in those events. Jenkins almost took down Galen Rupp’s 3000m school record earlier this season. Rupp went on to win the 5000m Olympic silver medal in 2012.
behind two other Oregon Ducks. If it were not for the two other Oregon runners Geoghegan would be the NCAA 3000m champion. And last but not least the king himself Edward Cheserek. What has this man not done yet? Not even done with his sophomore year Cheserek has already claimed seven NCAA titles. This past indoor championship, Cheserek ran three races. They were the DMR, mile, and the 3000m. Cheserek lost his second championship race ever to his teammate Eric Jenkins, but that does not undermine what he accomplished. Cheserek had to run 3 separate sub-4 minute miles until he ran the 3000m, so coming into the 3000m he was already tired from such hard efforts. The Oregon men have only won the indoor title twice before this year, and when Prefontaine and Salazar ran they never won the team title for indoor. This year not only did Oregon win, but they won by the 4th most points scored ever in the history of the meet using only the points the distance team scored. This year’s Oregon team with not only one, but three of the best runners in the nation could potentially become one of the greatest in school history.